Length 2 1/4" 2 3/4" 2"
The DT® (Dives-To) series of crankbaits, dive fast to a preset depth and stay in the strike zone longer than any than other crankbait on the market. Made from the top seven percent of balsa wood, this consistently perfect wood combined with carefully placed internal weights, tapered fuselage and thin tail design creates the ultimate crankbait action, found only in the DT family. Ultra-thin polycarbonate lip digs the bait down quickly to desired depth. 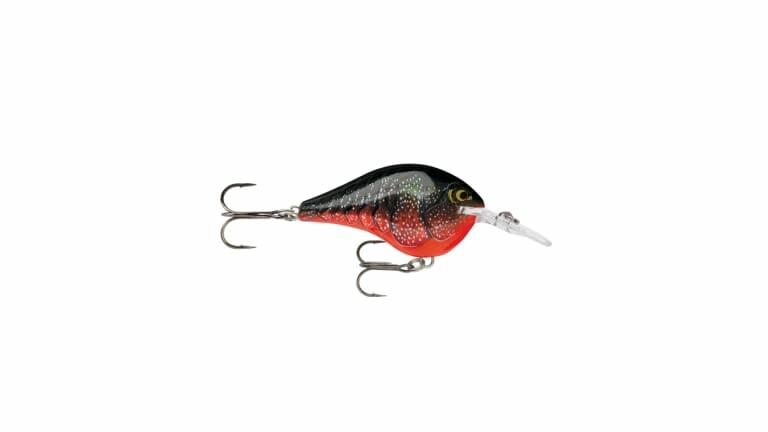 Swimming with a side-to-side action only balsa crankbaits can achieve, the DT cranks deep, yet pulls with ease. Perfectly weighted to rest in a quick-dive nose down position allowing for immediate descent to desired depth, the DT® can be easily cast 150 feet. Simply put, the farther the cast, the longer the bait stays in the strike zone. It's the most effective way to cover more water and catch more fish. Internal baritone rattle is tuned for best sound performance. Premiere finishes in all the right color patterns, finished with 3D holographic or painted eyes. All come with premium VMC® SureSet® tail hook and black nickel belly hook. 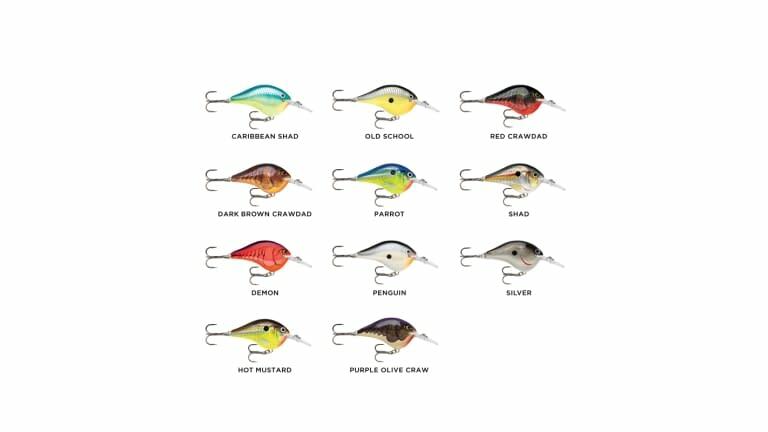 Each lure is hand-tuned and tank-tested to swim perfectly right out of the box. DT04 2" 5/16 oz. 4"
DT06 2" 3/8 oz. 6"
DT010 2-1/4" 3/5 oz. 10"
DT016 2-3/4" 3/4 oz. 16"